Every batsman has his own likes and dislikes in a cricket bat; the weight, balance, grips on the handle and the number of grains on his willow are some important features that batsmen look for in their willow. Players like Sourav Ganguly, Matthew Hayden, and Mark Ramprakash thrived using bats on the lighter side of the weighing scale. However, there were a few players who found success by playing with heavier bats. Designed to handle Gayle’s explosive power and brute force, the CG is perfectly suited for the modern limited overs game. It has a thick edge, a massive sweet spot and is handcrafted to Gayle’s liking. Combined with the Jamaican’s strength, this very bat has the ability to send the leather ball way into the stands and further. 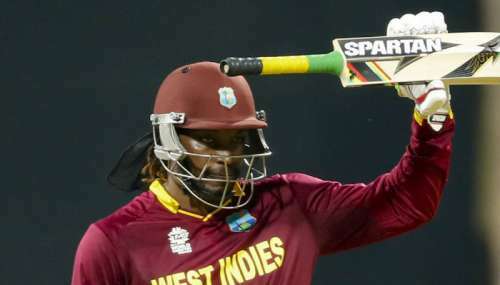 Chris Gayle joined hands with Spartan in 2012 and the latter created a massive bat for the opener to explode on the pitch. It started to show immediate results in the big left hander’s game. He went on to score 175 runs in a single T-20 innings for RCB against the Pune Warriors in an IPL game. He followed it with a couple more dominating performances and ended up with the Orange Cap in the 2013 season. Since then, Christopher Henry Gayle has become a household name in twenty overs cricket. IPL 2019: Match 43, KKR vs RR Match Prediction: Who will win today's match?